With the Fourth of July coming up, there's a surprisingly sparse calendar for specialty screenings. If you're not traveling for the long weekend then you can check out these screenings after the break! Alamo Drafthouse: AIRPLANE is one of the most perfect comedies of all time in the history of ever.If you've somehow missed out on seeing it, there's no better way to do it than with an audience. Thankfully there will be an Action Pack! screening of the movie at 9:00pm. Texas Theatre: For a one-night only engagement, there's the Cambodian rock doc DON'T THINK I'VE FORGOTTEN: CAMBODIA'S LOST ROCK N' ROLL at 8:45 pm. Texas Theatre: There's a trio of movies opening up this weekend. First up is CLOSER TO GOD, which is supposedly a modern Frankenstein tale but it's actually a terrible movie. Next up is this rom-com IN STEREO. I have no clue about this one. 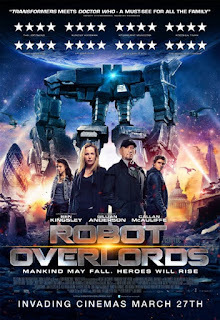 Then finally but not least is ROBOT OVERLORDS somehow starring the perfect Gillian Anderson and Sir Ben Kingsley, it looks better than the Asylum TRANSMORPHERS but not much better. 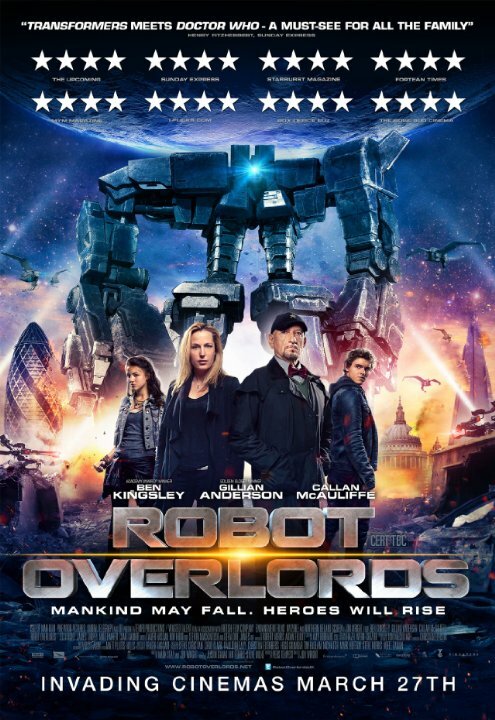 But it looks to be the kind of goofy b-movie I enjoy. Check out the trailer below. Alamo Drafthouse: Surprisingly not showing INDEPENDENCE DAY, instead the folk at the Drafthouse will screen the most American movie of a man of Italian descent fighting against a damn dirty communist, ROCKY IV. Alamo Drafthouse: It's the day after the 4th, so most everyone will be sunburnt or even a little hungover. The best remedy is to go order some breakfast tacos and go see Barbara Stanwyck in THE LADY EVE at 1:00 pm. Then if you're still feeling chill, you can go ahead and stick around for the Summer of '83 series with JAWS 3-D at 4:00 pm. Texas Theatre: Thanks to the Oak Cliff Cultural Center there will be a screening of PURPLE ROSE OF CAIRO at 3pm. This is a wonderful way to experience this classic comedy.